Counting with advanced technology and a wide range of products has positioned us as a laboratory with an ever-growing participation in Latin America, with the registration and exports of our own products and/or the manufacturing of third-party products. At Lafedar Laboratories we are constantly growing while also generating value through research and development, with supplies for Public Health, producing for third-parties with national, multinational and transnational firms, and building a cross-linked products and presentations with our own brand for regions with different climate zones. All of our facilities comply with the highest quality standards. We count with MERCOSUR certification, asides national habilitation. Our plant has been frequently audited by prestigious national and multinational companies, which form our client portfolio and strategic allies. 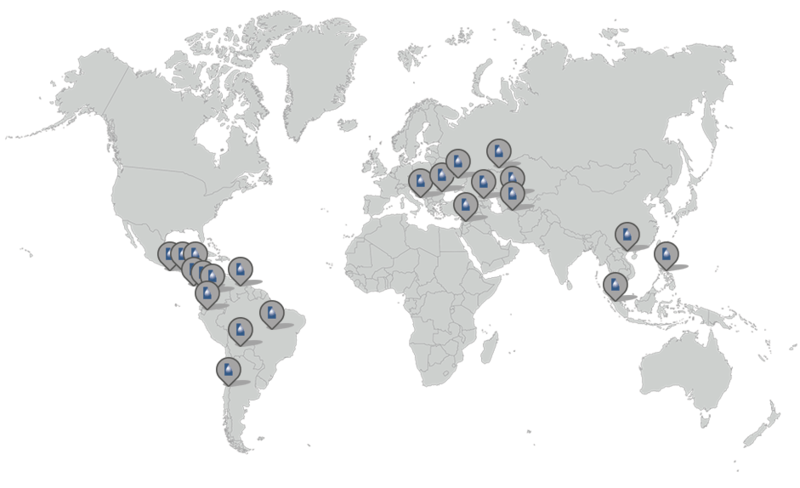 Our permanent interest in growing and adding new international customers, and having a department specialized in International Regulatory Affairs and International Marketing has enabled us to obtain product registrations in the most diverse and developing markets in Latin America, Asia and Eastern Europe.